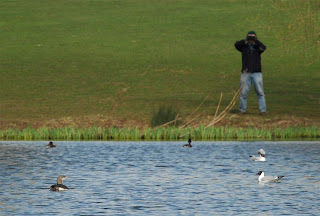 Highs and Lows of Birding: Love is in the air... rock hard loving! 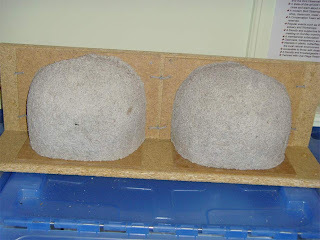 Can you tell what it is yet? Thursday 27th was a day off work and an opportunity to photograph some things in the glorious sunny weather, a bit of a rarity of late. 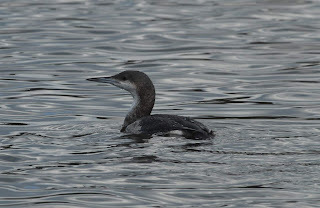 Once again I found myself at Danson Park near Bexleyheath attempting to get better shots of the Black throated Diver. A brief visit to Swanscombe in Kent was reasonably quiet bar one brief view of a Scandinavian Rock Pipit, six Ringed Plover and 5 Teal !!! Attempts at Jack Snipe drew a blank but I did prove that my wellies are still waterproof! The Black throat put on a good show again but once again didn't provide me with the 'ultimate' shot. As you can see it was quite close at times and seems to be feeding well. 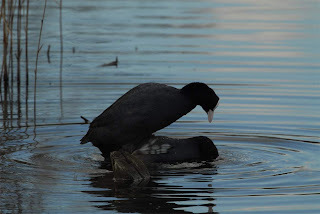 This Coot evidently should have gone to Specsavers, http://www.specsavers.co.uk/ as it appears to have misjudged 'the jump' and ended up on this nearby stump. 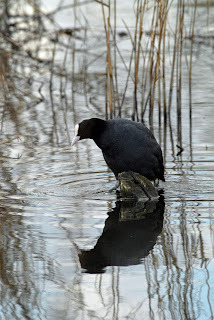 Fortunately the situation was righted and Mrs Coot was duly near drowned in the water!! 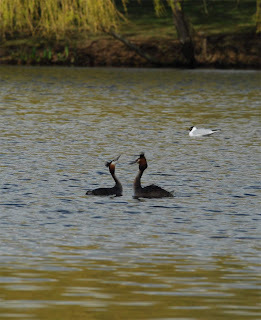 The Great Crested Grebes display is now in full swing though sadly this is the best shot I could manage. 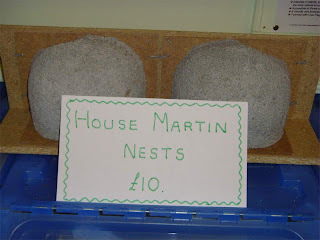 House Martin nests for sale at Sandwich Bay Bird Observatory, a great place to bird and pick up some bargains, and what a fine pair they are! !